This fairytale like scenery can be found after a long 30km drive from Luang Prabang. 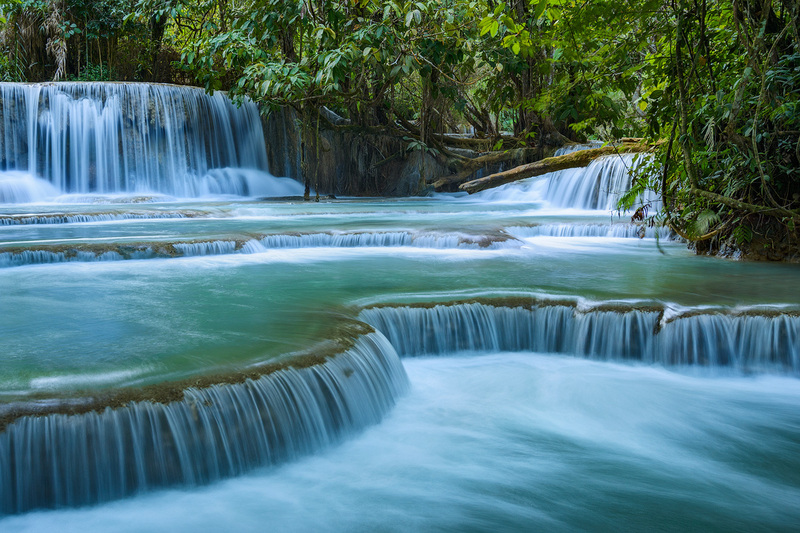 The many-tiered waterfall formed a series of turqoise pools; the term Edenic comes to mind! Luang Prabang Province, Lao PDR.